Long-distance running is rewarding for many reasons. Not least, it helps promote a healthy mind and body. But often routine can dilute our enthusiasm. That means trying alternative routes to fuel the passion. And if you’re really feeling adventurous, you can get in the car (but in most cases you’ll need a PLANE) to sample some of these incredible routes around the world. Not the most picturesque run on the list but it enjoys, at least during good weather, the warm glow of the setting sun as you head off with the aim to finish before the sun disappears from the horizon. The flat nature of the course makes it possible to challenge your personal best for those really competitive runners. And you can pop into nearby Forman’s restaurant afterwards for a fish supper to get that energy back. Take in a little showbiz in Las Vegas as the glitz and glamour of this city-in-the desert hosts its very own half marathon. Usually taking place in autumn, you’ll be relieved to know the temperatures are milder than their summer highs. There’s a bonus too: you’ll be treated to a free concert before you get going. 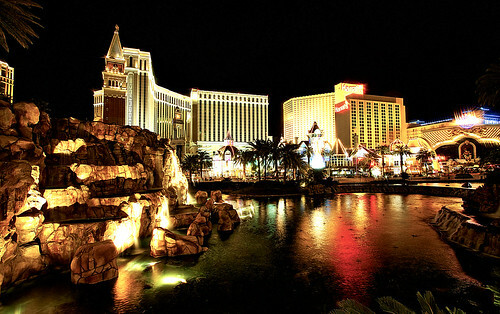 Finishing at the world-famous Mirage hotel, runners will have the opportunity to take in the sights and sounds of Las Vegas before the city’s shows, restaurants and nightclubs become your playground afterwards. One of those great long-distance runs that capture the historic setting of their route by winding around some of a city’s great landmarks. You’re able to tackle this one, which takes its starting point from the Tower of London, in both 5k and 10k alternatives. With sea air filling your lungs and the picturesque setting of Perth’s harbour and seafront lifting your spirits, this half marathon is an ideal setting for a long-distance run amidst sampling what delights Western Australia’s largest city has to offer – from the history and architecture of Fremantle Harbour and landmarks like the City of Perth Library, to the thriving local music scene and the diverse international cuisine of its restaurants – a visit to Outback Jack’s for a Jack’s Game Platter will get your energy levels back up. Thousands of runners of all levels and ages take to the streets of Tromsø to challenge themselves in freezing temperatures. The location for the world’s most northerly marathon sees the addition of the Polar Night half marathon for those with extra energy. There’s also a chance you’ll catch the Northern Lights too. After indulging in a few antipasti platters it’s time to work off those extra calories in one of Italy’s grandiose long-distance races which begins on a Saturday when the elite runners tackle the marathon. The fun really starts a day later when you have the chance to enjoy a 15k run around Stramilano beginning at the city’s massive white marble cathedral, the Piazzo Duomo. Football, food, iconic architecture and the atmosphere of one of Europe’s biggest road races is all part of the enjoyment here. Imagine combining your favourite hobbies with a trip to one of the new 7 Wonders of the World? 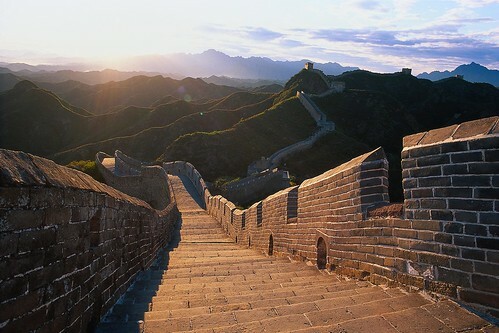 Well, you can with this half marathon along the Great Wall of China. A race for those with a little more experience, you begin at the Yin and Yang Square before tackling asphalt, gravel paths, dirt trails and, of course, jagged steps as you traverse a route that ascends and descends at quite steep gradients at times. But the satisfaction on completion is like nothing else. From the breathtaking Other Half Half Marathon in Utah to the gorgeous setting of the trail run at the Patagonian International Half Marathon to Tenerife’s Bluetrail and Jordan’s Petra Desert Half Marathon, there are a number of long-distance challenges for runners eager to see some of the world’s memorable sights.